1. Thousands of people remain displaced in the aftermath of Florence and many will return home to ruin. NRP has a list of national and local organizations working to assist the communities, people, and animals affected by this storm. 2. Good Eats will be back in 2019!! My life needs more Alton Brown and less everything else. 3. One-pot magic pastas! It is always pasta season at my house, but it is super pasta season the minute things get below 60. COME TO ME, FALL. 4. “Several Women Say Airlines Don’t Take Their Complaints About Men Masturbating Next To Them Seriously.” This is deeply disturbing, gross, and completely unacceptable. Many years ago, I had a friend who was groped while on a flight. The flight attendant told her to try not to be so close to him. SHE WAS IN A MIDDLE SEAT. 5. I finally made it through the end of The Teacher’s Pet, and the last half was a total slog.They repeated the same facts ad nauseam which I found infinitely frustrating. I do not think Lyn is on the property anymore as they have had years to move the body, but I am glad this case is getting attention again because someone must be held accountable for her disappearance. I just wish they had told it in fewer episodes with less recycled material. And what was that psychic nonsense all about??? 6. I started listening to Dr. Death this week and I am HOOKED. Holy moly. I am not sure that it is good for my anxiety to listen to that podcast, but I cannot stop! I am the architect of my own misery! It is so disturbing and mind-boggling. HE DID NOT WASH HIS SCRUBS!!! The podcast is produced by Wondery, so if you enjoyed the style of Dirty John, then you won’t want to miss this one (I mean, you ultimately probably will wish you had missed it, but it’s so well made!). 7. HENRY GOLDING IS STARRING IN A MOVIE BASED ON “LAST CHRISTMAS” (the song). The screenplay was written by Emma Thompson!!!!!!!!!!! I AM PUMPED. There are never going to be enough holiday rom coms for me, and he is THE MOST CHARMING. If he and Peter Kavinsky were in a movie together I think my heart would get too overwhelmed and I might actually die from it. It is the season for You’ve Got Mail (a definitive fall movie in my book) and we are closing in on The Holiday!!! I love love in the cold (like my heart?). 8. For those of us without access to Smithsonian TV, the documentary on QEII’s coronation is FINALLY available for purchase. I watched it last night through Amazon and it was wonderful. 10. 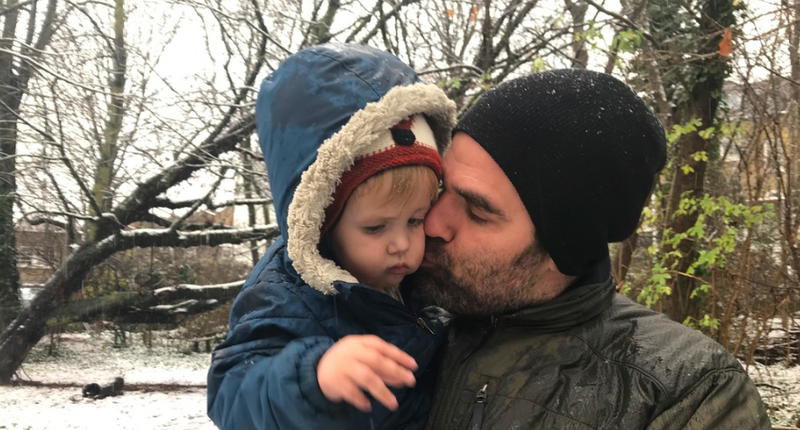 Rob Delaney wrote a beautiful and sad piece about the death of his son Henry. I do not know how people survive that kind of loss. Does the Military Diet Actually Work?